Moscow city tour. 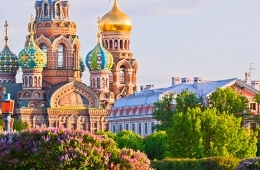 During the city tour you will see all the major and famous sights of Moscow, including Red Square, the Cathedral of Christ the Savior, Poklonnaya Mountain with Victory Park, Vorobyovy Hills and many other city attractions. Excursion to the Kremlin (Territory and 1 Cathedral). The Kremlin is the symbol of Russia and the city's main tourist attraction. 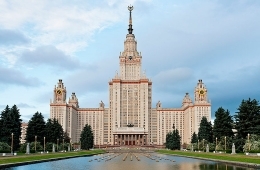 During the excursion to the Kremlin you will have the opportunity to see all his glorious buildings, i.e., the Archangel's and Annunciation Cathedrals, Big Kremlin Palace the former residence of the Royal family and the current residence of Russian president, the Cathedral Square and enter inside the Assumption Cathedral, where Russian Tsars and Emperors were crowned. Vladimir sightseeing tour. 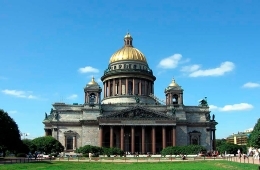 During the city tour you will see main sights and highlights of Vladimir. You will see the Assumption Cathedral, a unique monument of the white – stone architecture of Vladimir, which was built in the middle of the XII century by Prince Andrei Bogolyubsky. You will also see the Golden Gates, considered the door to Vladimir and the small, one-domed cathedral of St. Dmitry, built in the beginning of the XII century. The cathedral´s interior still features frescoes of the XII century. Suzdal sightseeing tour. Suzdal is calm and beautiful town, which dates back to 1024 and was considered an important religious center. The town is full of churches and at one point in its history had 40 churches for approximately 400 families. You will be taken to the oldest part of Suzdal, the Kremlin. 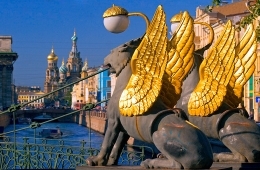 Specialists believe the Kremlin dates back to the X century and first appeared in the chronicles in 1024. You will admire the Cathedral of the Nativity, the open-air Museum of Wooden Architecture, which recreates the life and traditions of the people of Suzdal in the XVIII–XIX century, the Spaso-Yevfimievsky Monastery of Our Savior. Return to Moscow. Old Arbat street walking tour. Transfer to Veliky Novgorod by night train. Veliky (the Great) Novgorod city tour. Founded in 859 year, Veliky Novgorod is one of the oldest cities in Russia, which until nowadays has retained its historical value. During the tour you will see the Kremlin, situated in the heart of the city, Yaroslav's Courtyard - former marketplace and St. George Monastery. You will visit the St. Sophia's Cathedral – one of the first stone churches in Russia and open-air museum of Wooden Architecture "Vitoslavlitsy". Accommodation at the hotel in Novgorod. Excursion to Tsarskoe Selo with Catherine Palace and Park. During the excursion along Catherine Palace you will see the famous Amber Room and will be told about its mysterious history, you will see magnificent interiors of the palace, which will definitely amaze you. Every interior is differ from the next one. The collection of the palace includes a large number of arts, such as statues, furniture, personal belongings of Russian Emperors and their family members, etc. Accommodation at the hotel in St. Petersburg. City sightseeing tour. During the city tour you will explore cities top historical, architectural and vintage sights. 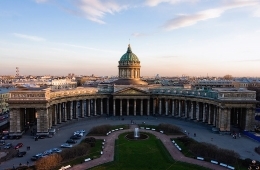 You will see Kazansky and St. Isaac's Cathedrals, monument of Peter the Great (Bronze Horseman), the Church of Savior on the Spilled Blood, Nevsky prospect, beautiful embankments and unique bridges, Peter and Paul Fortress and many other sights. 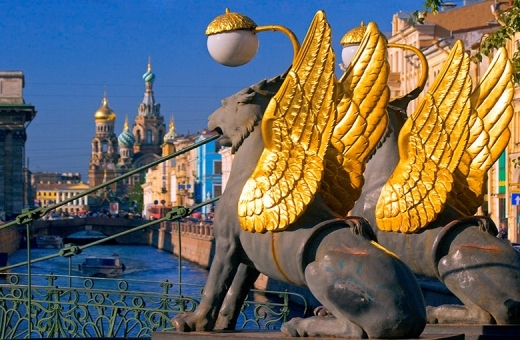 Excursion to the State Hermitage museum, one of the largest and oldest museums of the world. The collection of works of art of the Hermitage was gathering for more than two and a half centuries and nowadays it consists of more than 3 million items. 1 team leader free of charge.